Biopics. They can never quite seem to satisfy everyone. So here's the thing. 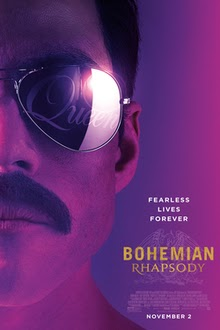 Bohemian Rhapsody is a mostly enjoyable movie. It is not a good biopic. First of all, the inaccuracies. There's just so many of them, some created for no reason. For example, the formation of the band. Why would it be necessary to lie about this? For extra drama? It didn't even seem realistic. In fact, it was so unrealistic I literally Googled it while watching the movie because it didn't seem believable. Which then, of course, made me suspect everything else in the movie. In short, it's distracting and unnecessary. If you're going to bend the facts about certain events, there damn well better be a purpose. Also, Rami Malek. His performance is not to be overstated. 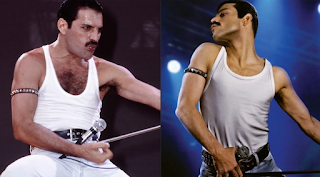 Not only does he nearly identical to Mercury (it's uncanny, really), he embodies the role in such an incredible way. And to do it with those ridiculous teeth? It's a wonder he could even say his lines, let alone act through those chompers. 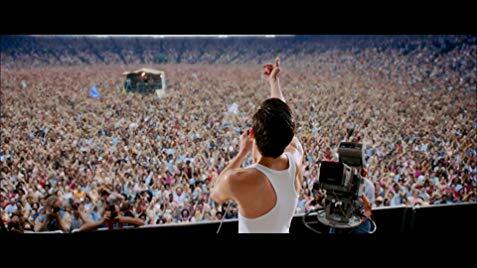 If you do watch the movie, do it for his performance alone. Also, so you can Google the cast afterward and see how well they cast the thing. Final word: Conflicted. Much like this movie.